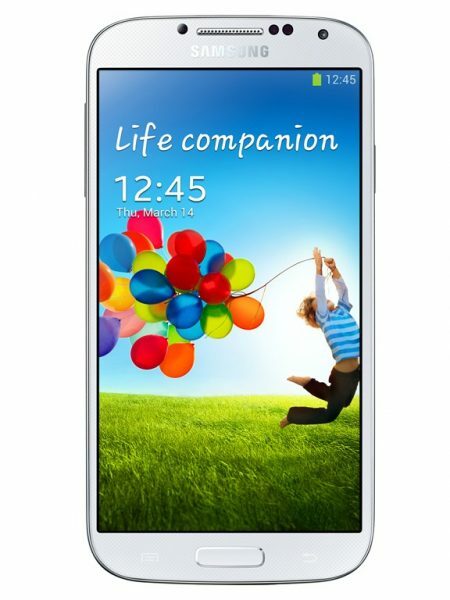 One of the latest features of the Samsung Galaxy S4 are the air gestures, something which means you don’t have to touch the phone to make the phone do certain things. It is a very cool feature, and definitely rates quite highly when it comes to impressing people. However, it is not always reliable. Anyway, here we take a look at some of the air gesture options available on the phone, and how well they perform. Some of the images and descriptions below have been taken from the user manual of the phone. 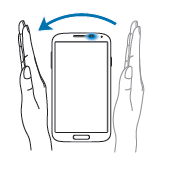 The hand needs to move about within 7cm of the phone, which means it has to be fairly close, but the fact that you can perform certain features without touching your phone is great, e.g., when your hands are dirty, or when they are wet, or when you are cooking, etc. With the phone in stand by mode, and the screen off, a quick wave of the hand shows a special screen which tells you all your notifications, including missed calls, texts, emails, and anything else that may be waiting for you. It only works when the phone is on a table, and doesn’t quite work when holding the phone in your hand. It also takes a little getting used to. I noticed that it works better when your hand is actually titled sideways rather than palm facing down as the picture showed. Air Jump allows you to scroll through emails or browser pages just by a simple gesture. While this is another great feature, it only works when using the official email client, as well as the official browser on the phone. This feature does not work in your PDF reader, in Kindle, on Chrome, or any other email client you may use, even the official Gmail app. That does defeat the object of having this, but a good feature nonetheless. 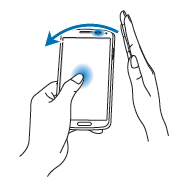 This was found to be a lot more reliable than the quick gesture app. Allows you to browse through photos, webpages, songs and memos. A bit more reliable, but once again only works with the official Samsung apps. Hold an icon on one of your screens, and use the other to swipe through screens. A very cool way to adjust through your home screen and other options. 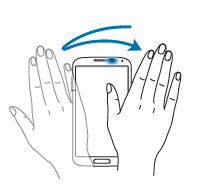 One of the very cool features of the Air Gesture is the ability to accept a call by waving a hand in front of the phone. This is another one of those where you can accept a call, while say painting or cooking. The best thing is, if you accept a call in this mode, it automatically goes to speaker mode, and hence assumes and knows that your hands are dirty or wet. Once again, this was not a hundred percent reliable, but cool when it did work. I love the Air Gestures, they are very cool, and great fun. However, they do seem to suffer some reliability issues. Hit and miss? More of a hit than miss I’d say. They are definitely good enough for me to use them constantly, and just repeat if it doesn’t work. This is definitely a good start to something that may become very common in the gadgets of the future! 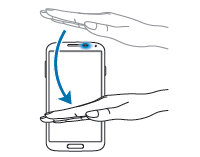 I enjoyed playing around with these air gestures on your device the other day. The air gestures were a bit hit and miss – but I was certainly impressed by them for a first effort. No doubt they will improve in leaps and bounds in the future. I particularly liked the Eye Scroll feature too, which you didn’t mention in this article. It had a knack to it, though I haven’t tried it in ages. Does it not work at all for you, or only work a bit?